I love this planet we call home. I’ve had the good fortune to travel to many parts of it and everywhere I go, I find more reasons to cherish and preserve its beauty. From the clover necklaces I constructed as a child, to the crusty ice at the summit of Mount Adams, from the majestic condor soaring over the Andes to the teensy lady bug on my windowsill, there is so much to take in. For me, time spent in nature is an unparalleled journey of awe and wonder, beauty and humility. It is medicine for the soul, and rejuvenation for the body. With every fiber of my being I want to hang onto this precious resource—this life-sustaining, drop-dead gorgeous, spinning ball of matter in the universe. Mother Earth, in short, is a celebration of the rich diversity of life here on earth. If you love this planet too, you can get involved by helping me to produce this awesome and humbling bit of art. The album contains piano music ranging from the Romantic era to contemporary works including several that were composed this year. I recorded it in Kresge Auditorium at Carnegie Mellon University on a spectacular Steinway D that just sounds gorgeous. Curtis Dahl, who has been mastering and producing the album, has outdone himself to make this a top-notch recording. I’m slated to release the album in late February and you can pre-order the CD right here on this site! All backers supporting at the $25 level or up will get the CD in the mail as soon as it’s released. If you would like to support the project in a more robust way, there are several options. $1200 Listed as "tour sponsor" on tour concert program and website. For donors at this level, I will offer to come to any location in the US or Canada and play the Mother Earth program for you in person--it can be a private concert in a home, or anywhere that you arrange. Sponsors will also receive a CD and one copy of the coffee table book. I’ve included a graphic of my budget so you can see where the money goes on a project like this. 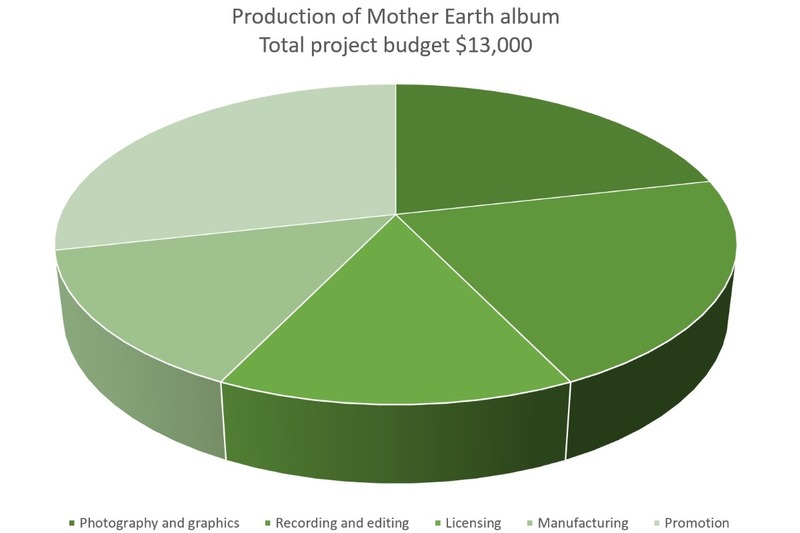 You may notice that my total budget exceeds my fundraising goal here on GoFundMe—I’m planning to make up that difference when I take the Mother Earth program on tour this spring. 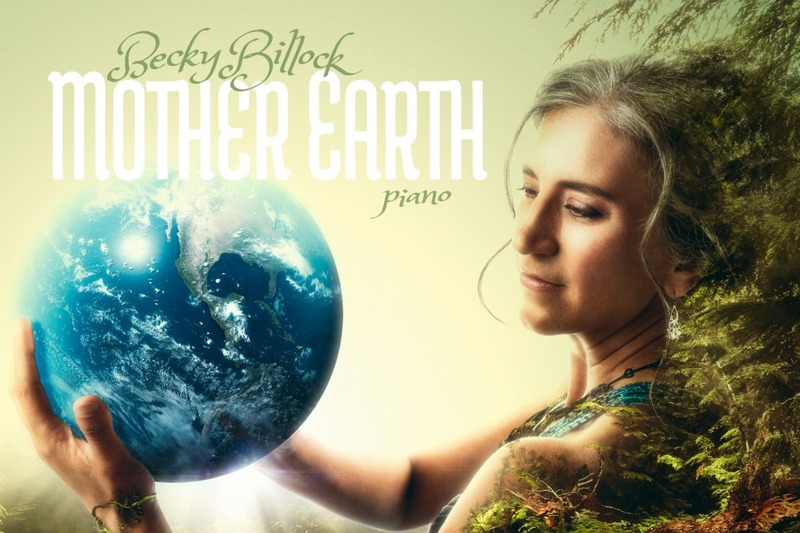 (Check out my website at www.beckybillock.org to see if I'll be performing somewhere near you!) Note that even if the fundraising goal is reached, you can still continue to pre-order the CD here through the end of the campaign period. Stay tuned for more posts about the content of the CD, stories from the production phase, sneak previews, and other updates. If you are unable to support by ordering a CD but would still like to help, a major way to be involved positively is to share this campaign with your friends, family, and coworkers. Thanks in advance for your vote of confidence and support for the Arts!